Motto: "I can succeed at anything I put my mind to." Smart, hardworking, and fully in control of their destiny, a Capricorn will always get what they set their mind to, in both personal and professional life-no excuses. Capricorns may get a reputation as stubborn, but they simply know what they want, and also know how they wish other people would behave. Natural rule-followers, Capricorns thrive on order and love strict rules, hierarchies, and set ways to do things. Can a Capricorn think outside the box? Yes, they can, but they prefer when they have strict boundaries to constrain against-free reign can make them feel paralyzed by choice. Capricorns are great at climbing the corporate ladder, and especially adept at making (and investing) money. Capricorns love family, and put a lot of stock in traditions. A Capricorn might stress themselves out trying to do everything perfectly-a Capricorn may feel like they must present a home-cooked meal every day, and would never admit to doing drive-thru or takeout. Capricorns believe presentation is everything, and their homes are usually Insta-worthy. A Capricorn sometimes is overly focused on what things look like, instead of how things feel, which could cause them to feel stifled and unhappy. Capricorns are loyal friends, and have a funny and sly sense of humor when you get to know them-it is fun drawing them out of their shells. 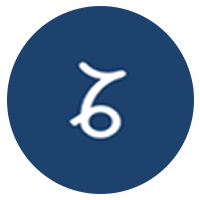 In love, Capricorn is a true partner, who is laser-focused on helping their partner find success and happiness. A Capricorn will dive into a relationship like a job, and believes that hard work can help make a bond as strong as possible. While sometimes a romantic conversation may veer toward feeling a bit like a board meeting, especially with action items and improvement plans, but if you roll with it, they have a point: Your bond will be stronger. Capricorn is intelligent, detail-oriented, and will not take no for an answer when they want something. Their hard working attitude is an inspiration to all, and they truly believe they can achieve anything with hard work. Capricorn is always ready to learn new skills, and sees something they don't know-like changing a tire or boiling the perfect egg-as a challenge they must undertake. This attitude makes them a master of all trades, and they have esoteric knowledge that is impressive to all who know them. Your bank account balance is enviable. You don't get overly tempted by purchases, and have a gift for investing and saving. Your home looks like it belongs on HGTV. Whether it's a rental or you own it, you have an exacting eye for design, and know the exact touches to make anywhere-even a hotel room-seem like a home. You are polished. You never don't know what to say and seem to avoid awkward situations as you are an expert at small talk, and also really good at knowing exactly what to say to make other people feel good.